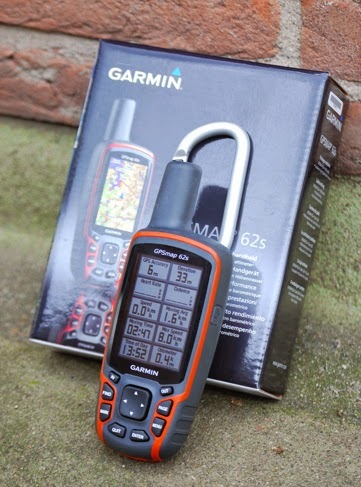 Toko Jual GPS Garmin di Denpasar Bali ~ Garmin 62s. Bonus : memory 2gb & peta Indonesia terbaru beserta topografinya. Garansi resmi Garmin Indonesia 1 tahun. GPSMAP 62s comes with built-in worldwide basemap with shaded relief, so you can navigate anywhere with ease. With photo navigation, you can download pictures from Garmin Connect™ Photosand navigate to them. Adding more maps is easy with Garmin's wide array of detailed topographic, marine and road maps. With 1.7G of onboard memory, you can conveniently download 24K and 100K topo maps and hit the trail, plug inBlueChart® g2 preloaded cards for a great day on the water or City Navigator NT® map data for turn-by-turn routing on roads (see maps tab for compatible maps). GPSMAP 62s also supports BirdsEye™ Satellite Imagery (subscription required), that lets you download satellite images to your device and integrate them with your maps. In addition, the 62s is compatible with Custom Maps, free software that transforms paper and electronic maps into downloadable maps for your device.